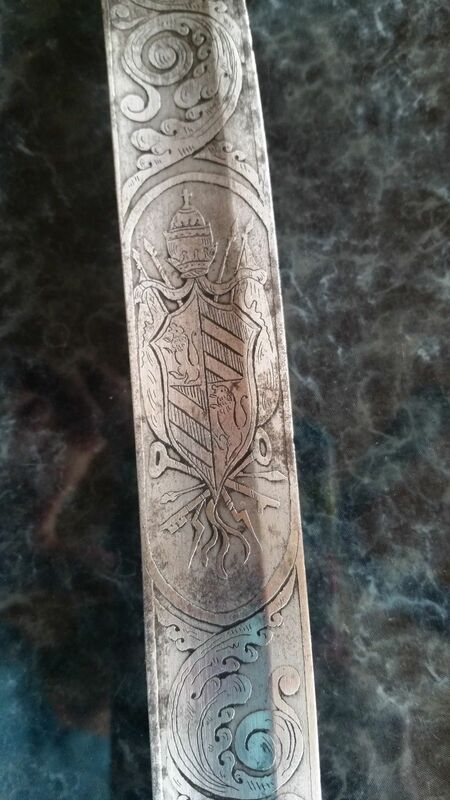 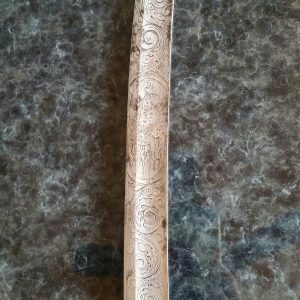 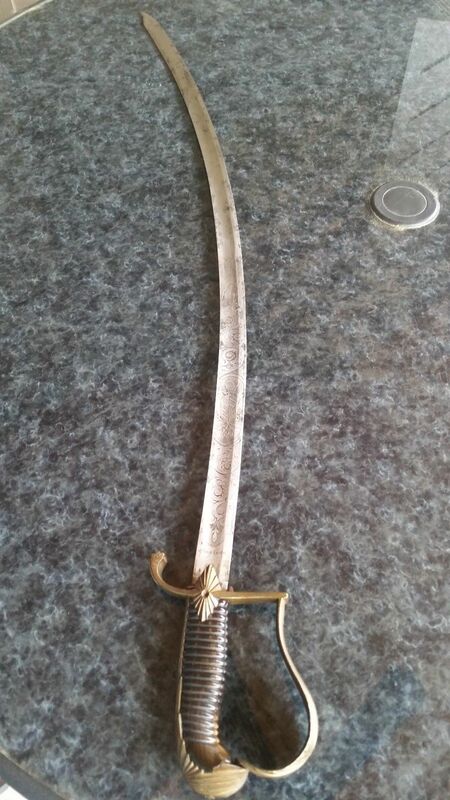 This antique sword is dated 1867 and bears the coat of arms of Pope Pius IX. 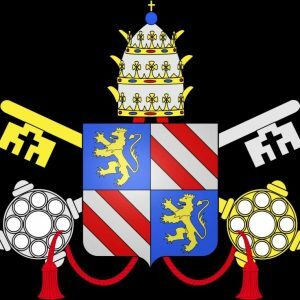 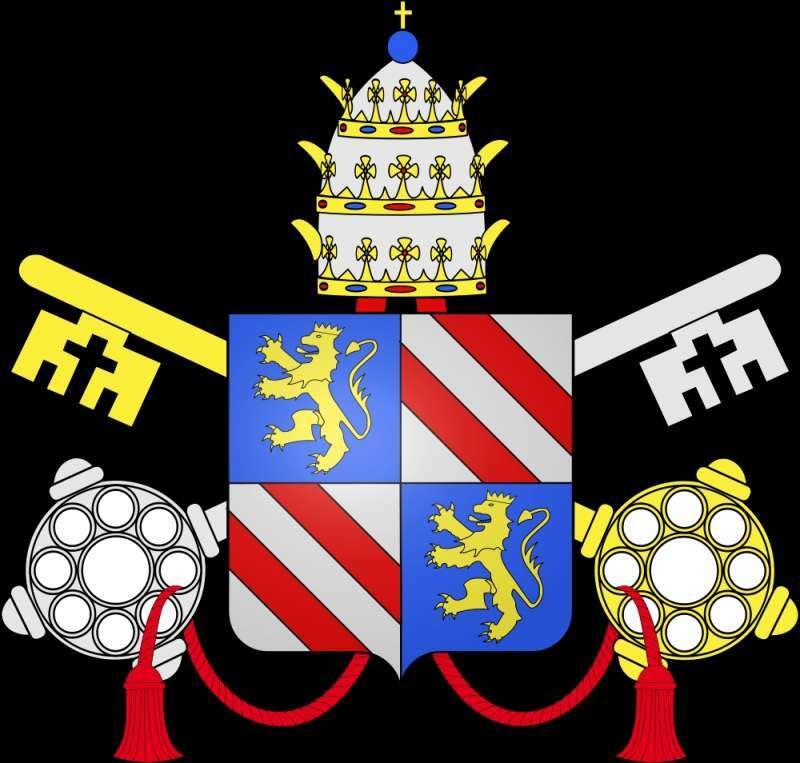 The Papal States were still in existence at this time and at war with the rest of Italy until they were taken over in 1870 by the new Kingdom of Italy. 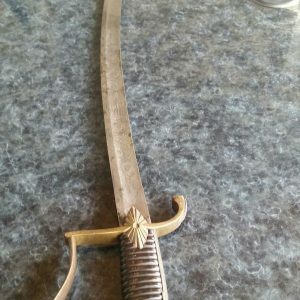 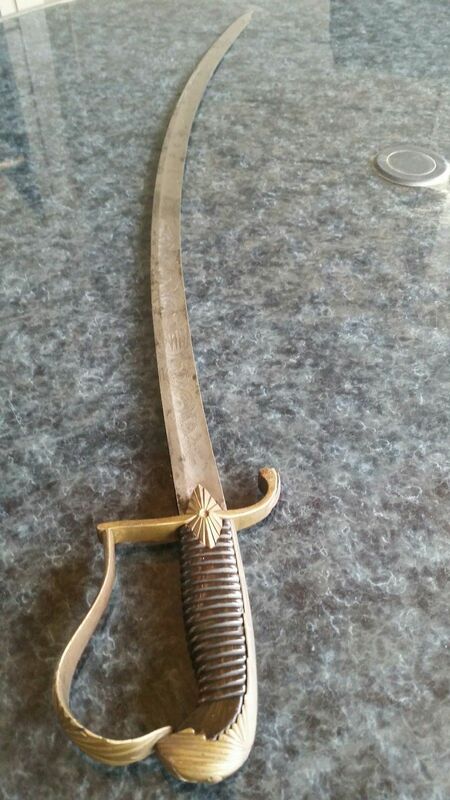 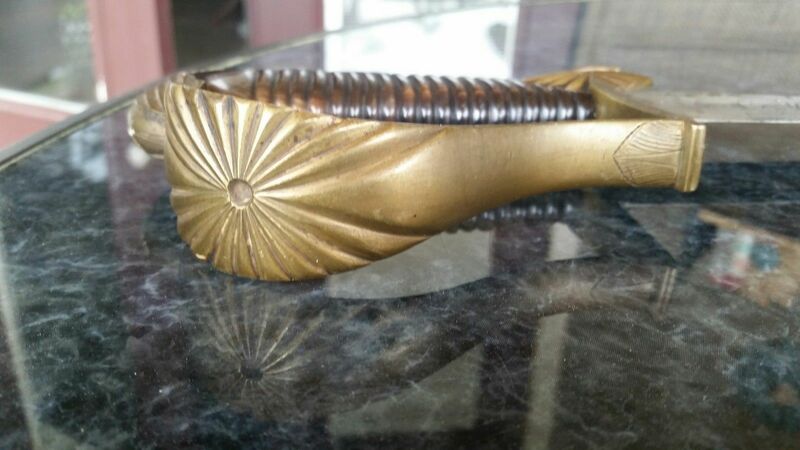 So this sword is not decorative but was made to use as an implement in that war. 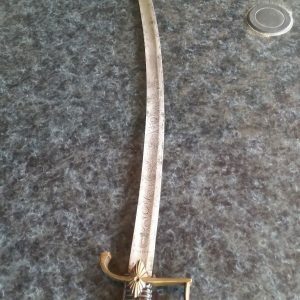 The sword is 37 3/4”. 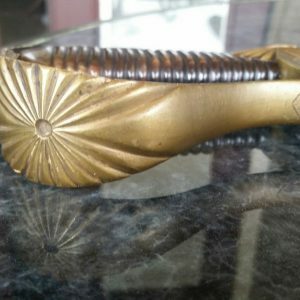 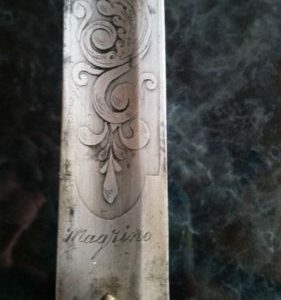 The ribbed handle is made of polished (possibly bovine) horn and the sword itself, with a curved blade, has a layer of patina on which can clearly be seen not only the engraved coat of arms of Pius IX, but also other decorative engravings of the bladesmith, Magrino. 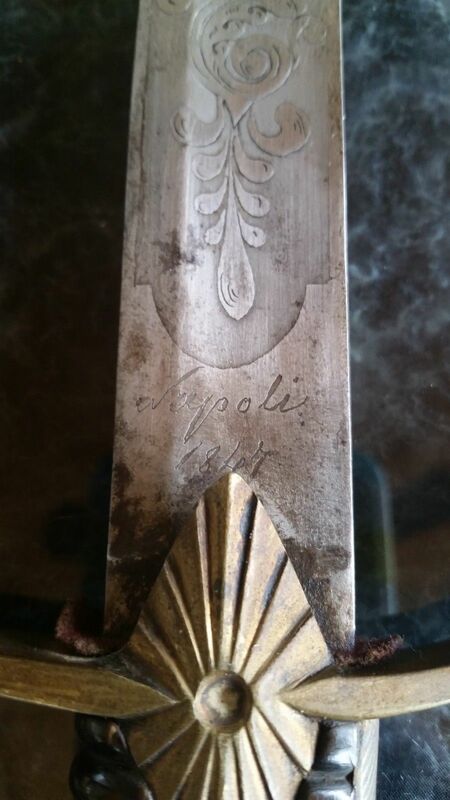 Napoli, its place of production, is also clearly marked with the 1867 date. 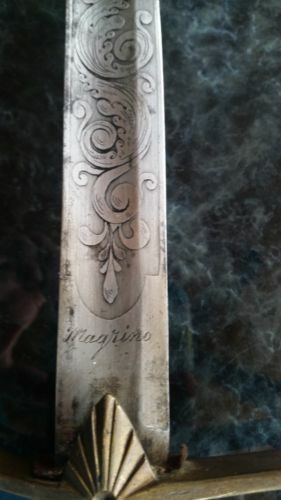 The Magrino & Napoli 1867 engravings are close to the handle, one on each side. 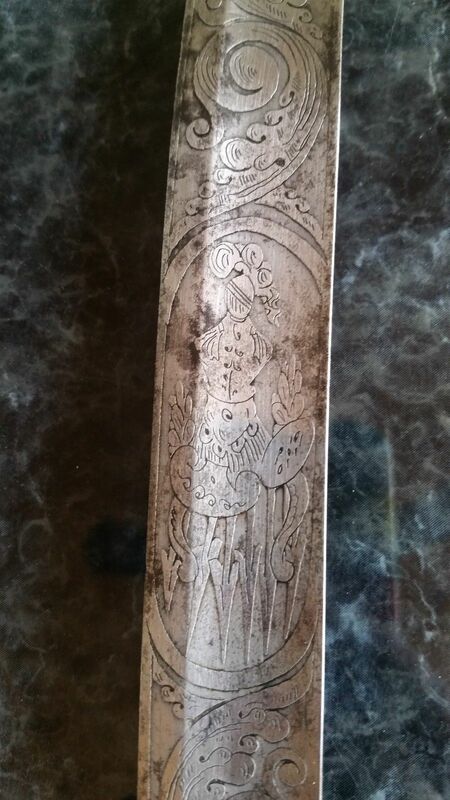 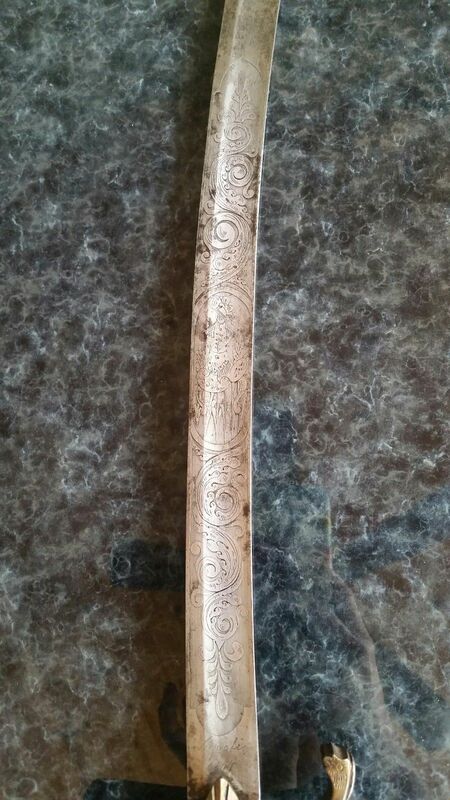 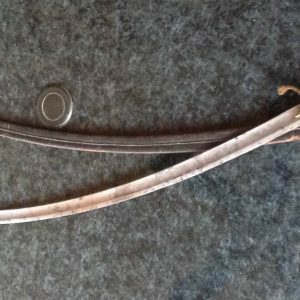 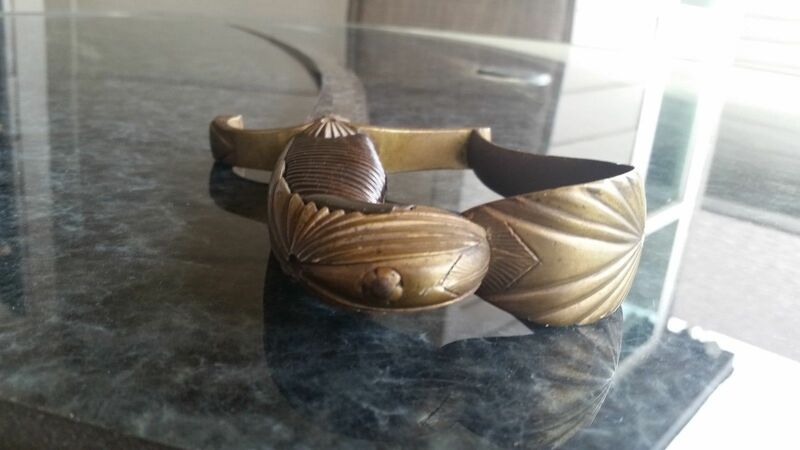 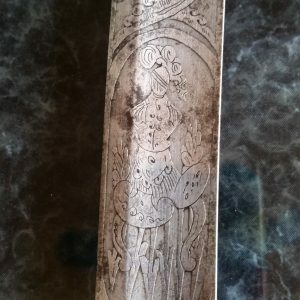 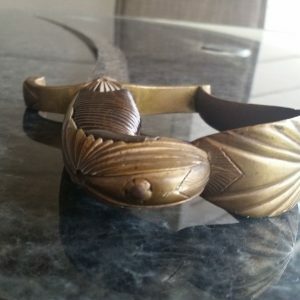 The scabbard is of leather and is missing the throat. 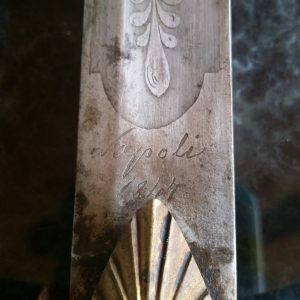 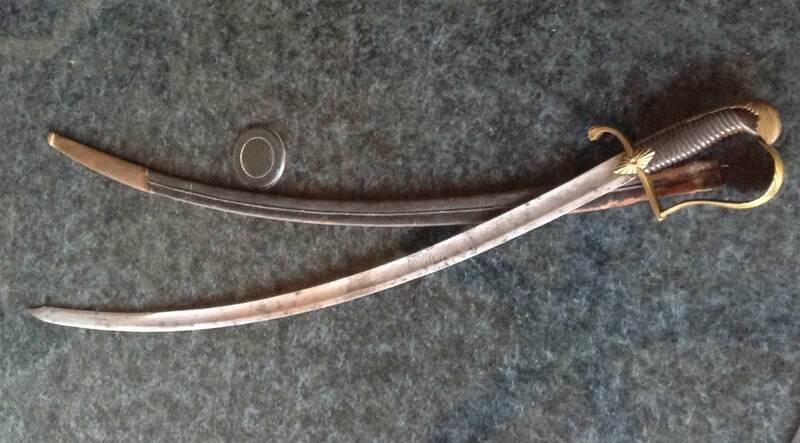 Some research about this artifact and the inclusion of the coat of arms of Pius IX would imply it is a saber of the Pope’s Honor Guard and used in defense of the Papal States. 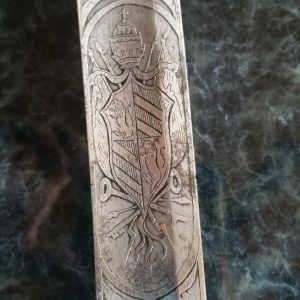 The sword is a very fine addition to this Collection and indicates the type of combat in which these Papal guardsmen were involved.